In the early 20th century, two rivals, the heroic Leslie and the despicable Professor Fate, engage in an epic automobile race from New York to Paris. Master of Ceremonies: [addressing the crowd] Ladies and gentlemen, you are about to witness the most spectacular feat ever attempted by the greatest daredevil in the world: The Great Leslie! Master of Ceremonies: He will be strapped in a straightjacket before your very eyes and lifted up into the clouds where eagles soar and no sparrow dares to venture! 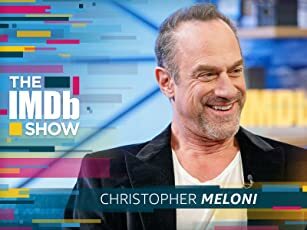 Q: Is this movie based an an actual event? Q: Was "The Great Race" eventually turned into a cartoon series? Q: What happened to the cars driven by The Great Leslie and Professor Fate? Were they real cars? Are they still around? 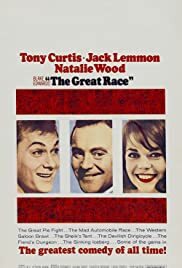 THE GREAT RACE may not be a masterpiece--but it is a perfect choice for a cold and rainy night: stylish, frothy, and often flatly hilarious, it makes for "comfort viewing" at its best. One of the movie's several charms is that it draws heavily from Victorian clichés that still linger in the public mind, gives them a gentle comic spin, and then drops them into the tale of an early 1900s auto race from New York to Paris by way of Siberia. Add to this a heap of favorite character actors, a big budget, flamboyant period costumes, and the biggest pie fight ever filmed, and you have a movie where there is always something to enjoy on the screen. 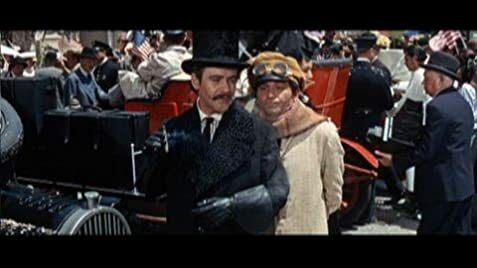 The great thing about THE GREAT RACE are the performances, which are very broad but endowed with a sly humor. The comedy accolades here go to Jack Lemmon and Peter Falk as the notorious Dr. Fate and his bumbling sidekick Max--wonderful bits of acting that will have you hooting with laughter in every scene--and Dorothy Provine scores memorably in a cameo as Lily Olay, the bombshell singer who presides over the most rootin'-tootin' saloon this side of the Pecos. But every one, from Tony Curtis and the lovely Natalie Wood down to such cameo performers as Vivian Vance, get in plenty of comic chops as the film drifts from one outrageous episode to another: suffragettes crowding a newspaper, the biggest western brawl imaginable, polar bears, explosions, daredevil antics, and a subplot lifted from THE PRISONER OF ZENDA agreeably crowd in upon each other. True, the film does seem over-long and may drag a bit in spots, but it never drags for very long, and it's all in good fun--and the production values and memorable score easily tide over the bare spots. Lots of fun.